The Yngwie stuff is pretty cheesy. Jordan Rudess has a new rock/orchestral CD, Explorations. The 25 minute title piece is sort of a stylistic kitchen sink type of work. There are some parts I enjoy, but those are mostly the non-rock sections. I like fantasies and nocturnes, myself. Last edited by walt; 12-05-2014 at 05:18 PM. Boris Pillin - Concerto for Strings and Percussion. Premiered in 1981. I have a vinyl version of it, possibly the only recorded version. David Lang - "The Little Match Girl Passion"
Listened to these today, as well as Hartmann's first three symphonies. Erik Satie-Messe des Pauvres, for organ and choir.An amazing and mesmerizing work.This version is particularly slow, slower than any version i've heard, but quite good, nevertheless. Antonio de Cabezon (1510-1566).Spanish composer, blind since youth. Chinary Ung.Born in Cambodia,now living in USA.The composition is Spiral 1,for cello, piano and percussion. After this post, i'll shut up and just listen.Can't resist posting this incredible work by Iannis Xenakis.I first heard this on WKCR-FM and called in to ask what it was. A couple of superb modern concertos on this disc! Such exquisite and beautiful writing for all of the instrument groups and soloists. Percussion, winds, strings, and the delicate and nimble piano lines. And it all comes together with a lucidness and clarity that is very pleasing to the ear. 1st movements from each concerto. The only music I haven't dug into is the Baroque, btw I personaly feel that the few of them I've already listened to being much based on the european folk music, quite more folk influenced than the Classical era music, and even more than the Romantic and Post-Romantic eras. I just wouldn't dare to compare any classical era with the 20th century's which was mostly atonal classical music, though obviously their interrelations are very clearly heard. As for favourites, I've acknowledged not only here but everywhere that the contemporary classical music is the most known and heard by the progressive music fans. Today I dig all eras equally, except that I'm still in debt with most of Bach's music. I've seen that most of today's classical musicians have been performing nearly all classical era's music, from Bach to Ligeti. My tastes have changed a bit since I began long ago to listen to classical music, yet I can name my favourites. I still feel kind of a most especial love for many Beethoven's works, especially his symphonies, piano concertos - the 5th I can say it's my fave, it has even made me cry more than once (yes perhaps I'm a bit of a sentimental guy, a man prone to cry to music maybe still weird for some people), besides some string quartets, overtures and piano sonatas. 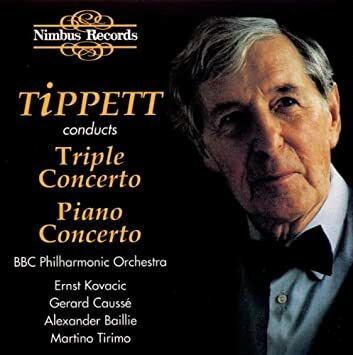 There is something that I didn't realize ten years ago - the decisive roll played by the interpreter and the orchestra for the final result of any classical music composition, both performed live and recorded, I reckon this is an exclusivity of the classical music. Any piece can satisfy varied tastes depending on which conductor (and orchestra too) is interpreting it. Quite a bit surprised for the number of replies in this thread, if we take as granted that many progressive (rock) music fans consider the classical music as the first progressive music ever made. I personally consider this matter very debatable. Nice post! I'm actually trying the 9th Symphony from Bruckner from one of our used CD's in the store right now. I'm also not a HUGE classical fan but really love some symphonies, especially stuff like Dvorak's 9th. Also really like Holst's Planets. A modern-day classical(?) composer that I really like is Iceland's Johann Johannsson, especially his "Fordlandia" release which is based on Henry Ford's failed attempts to run a rubber manufacturing plant/city in the Brazilian rainforest. Very moody and moving, perhaps similar to some Arvo Part's work without the choral aspect. Wilhelm Furtwangler is today my favourite Bruckner conductor, particularly his interpretations of the 5th and 8th symphonies - besides having the most powerfully emotional (almost melodramatic) and spiritual approach at the same breath, he marvellously times those bursting moments of release from the usually deeply dramatic and dark atmosphere of the Bruckner symphonies. There are other Bruckner interpretations I love too, like Knappertsbusch's and Karajan's. My taste doesn't match though with other well regarded approaches which are spiritual but not sentimental, intellectual and not emotional. I posted on this thread almost exactly a year ago. My opinions and my tastes in classical have not changed much. I still am not a fan of anything earlier than the early 20th century. My listening habits at home, where I can focus on music without diversions or interruptions, are about 35% classical, 35% prog (several subgenres) and the rest jazz and fusion. I am much more interested in discovering a new contemporary composer, than getting yet another performance of one of the 'workhorse' piano or violin concertos by one of the big '5' (or whatever) composers. My favorite composer remain, in no particular order: Bartok, Stravinsky, Carter, Berg, Webern, Penderecki, Barber, Schwantner, Britten, Ligeti, Lundberg, Takemitsu. I am sure I am missing a few. Is most 20th century classical atonal? I don't think so. Ravel, Prokofiev, Stravinsky, Debussy, Bartok, Barber, Britten, wrote mostly tonal music. Much of Carter's output, the second half of Penderecki's career is mostly tonal. Joan Tower composed mostly tonal music in the 70's and later. Arvo Part, John Adams, Tavaner, Bryars, Richter are almost exclusively tonal. Not to mention, all the minimalists (as far as I know). One final word, atonality and dissonance are not the same thing. Quite a bit of tonal music contains dissonance. ^Yeah you are pretty much right about the 20th century classical music composers, when I made my point I forgot the ones you mentioned (except Britten whose music I never listened to), as well as others: Heitor Villa-Lobos, Joaquín Rodrigo, Aram Khachaturian, Vaughan Williams, Shostakovich, Aaron Copland and Sibelius (though born in 1865). And none of these as far as I am concerned ever composed minimalist/serialist music, even though as you recalled there is a big amount of this music being made, which belong in the 20th century classical music era, as well as the atonal music. Last edited by Rick Robson; 11-10-2015 at 06:25 PM.